It hasn’t been easy — but in many ways it’s been thrilling. 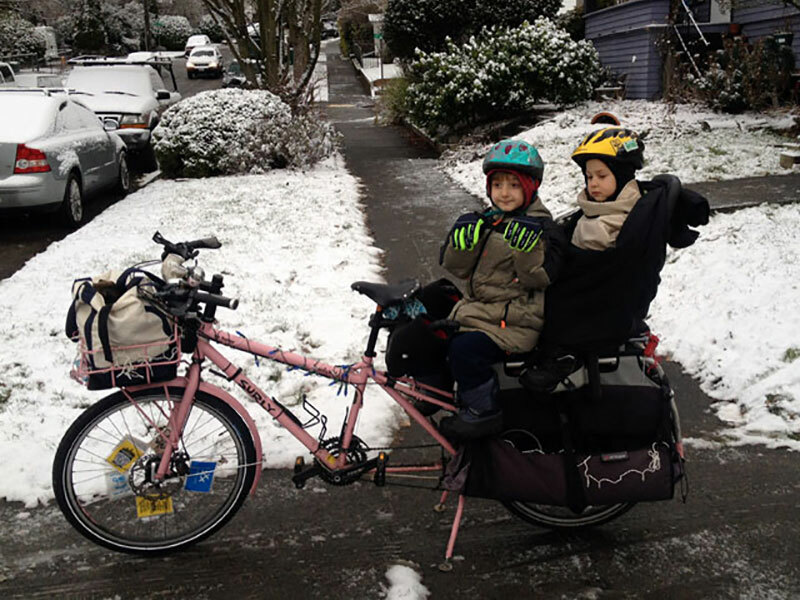 This morning on Twitter we asked our friends if they were still riding through the snow and ice. It was great to see all the responses. People shared photos and tips about how they fared. 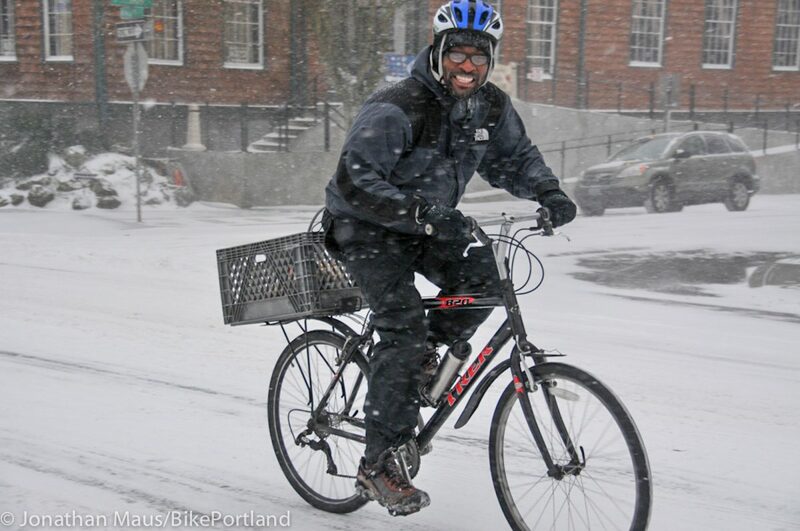 After severe storms unleashed havoc on our roads and heaps of criticism on the City of Portland’s response, Bureau of Transportation Commissioner Dan Saltzman laid out a new plan at a city hall press conference a few hours ago. Unfortunately, this new plan doesn’t do that. Instead of plowing residential streets that are the backbone of our biking network, Commissioner Saltzman announced two other changes to the City’s storm response plan. 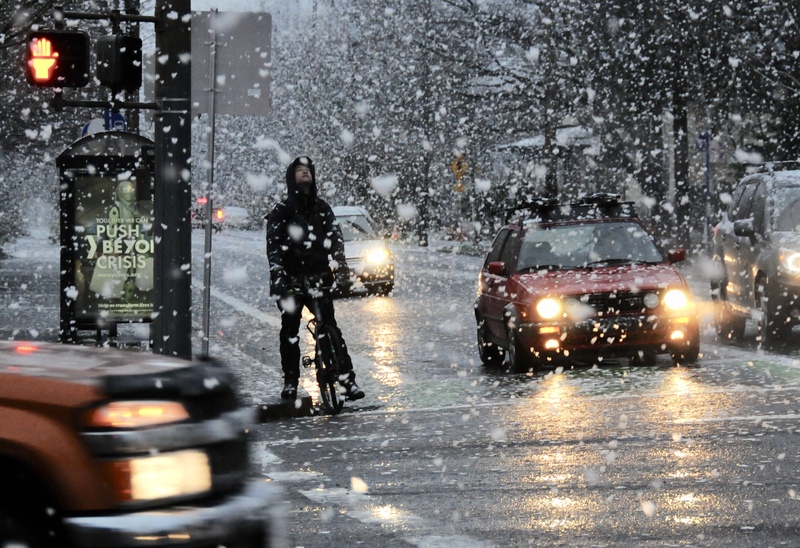 After resisting the use of salt due to environmental concerns, PBOT now says they plan to use up to 100 tons of it on at least three major roads during upcoming storms. 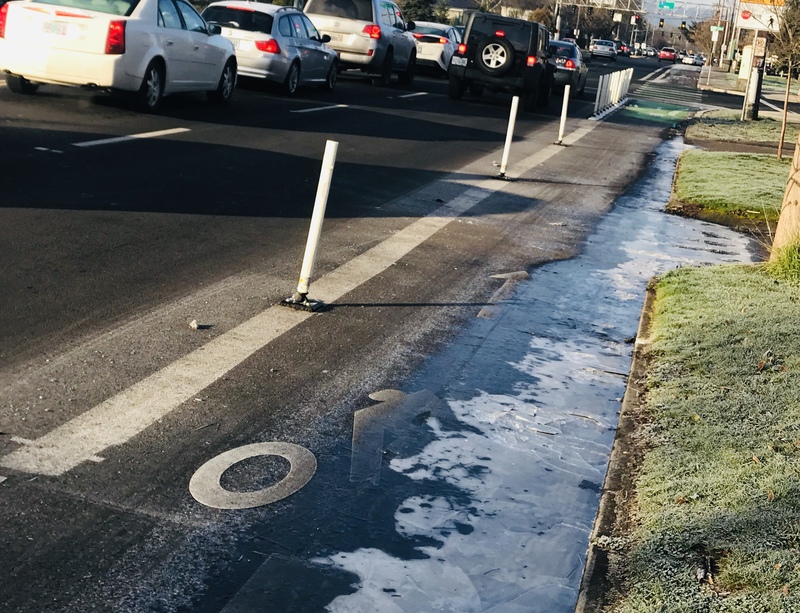 This “largest use of road salt in the modern history of Portland,” will be a test to see how effective salt is at keeping roads free of ice and snow. In addition, they’ve announced an 30 percent expansion in the number of lane miles that will be plowed. We knew the salt decision was coming; but it’s the plow route we were most curious about going into today’s press conference. 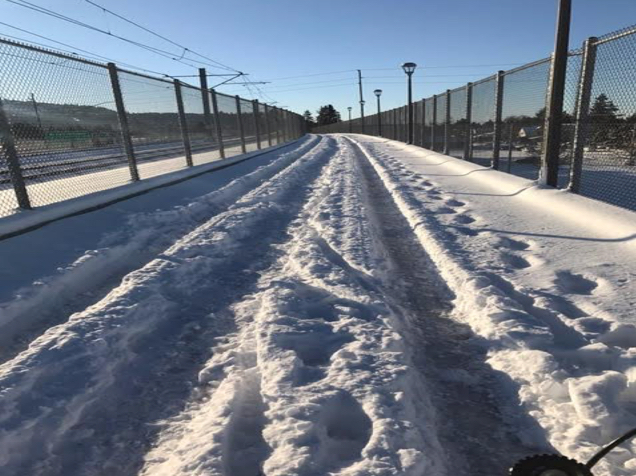 As we reported last week, not only were bike lanes and bikeways left piled with snow during the storm, they’ve been covered in gravel for weeks. I-205 path at SE Foster Road. It looks like the worst of the snow and and ice and cold is finally behind us. According to my weather app we should be back to the normal 50s and rain by next week. But with a foot of snow still on the ground and cold temps sticking around, our roads and paths will be a mess for quite a while. 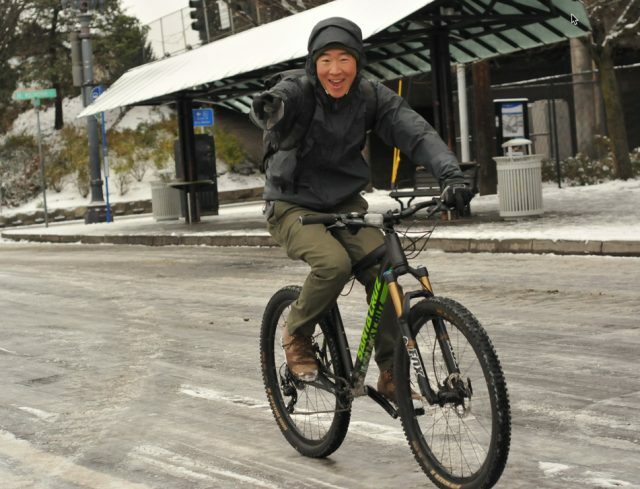 That means it will be tricky getting around town and some of our favorite destinations won’t be open for business. With that in mind, it’s time to share what you know about local routes and destinations. 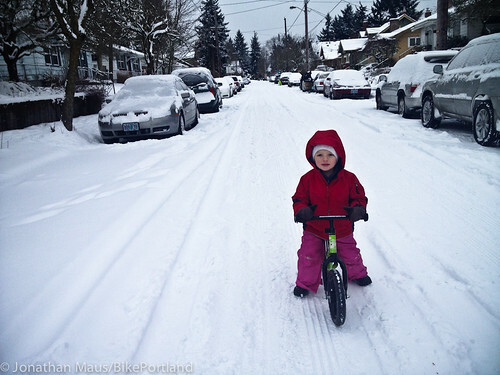 Portland is absolutely covered in snow: Let’s go ride (and walk and play)! 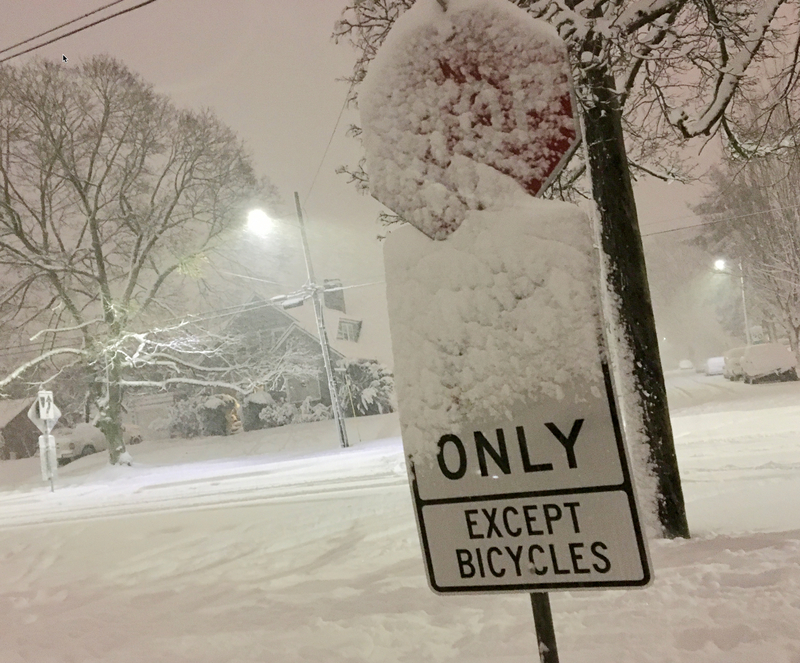 A record amount of snow has fallen in Portland. There’s over a foot in some places, it’s still falling, and forecasters say it’s not going anywhere. Most of the city has shut down. 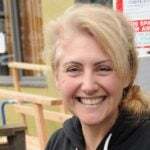 Schools, government offices, and many businesses can’t stay open because driving is so hazardous that people simply can’t reach destinations (imagine if more of us lived closer to where we work!). This means our streets are mostly quiet and calm — perfect for us to enjoy as should always be the case. Saw lots of smiles (and a lot of MTBs) out on the streets this morning. 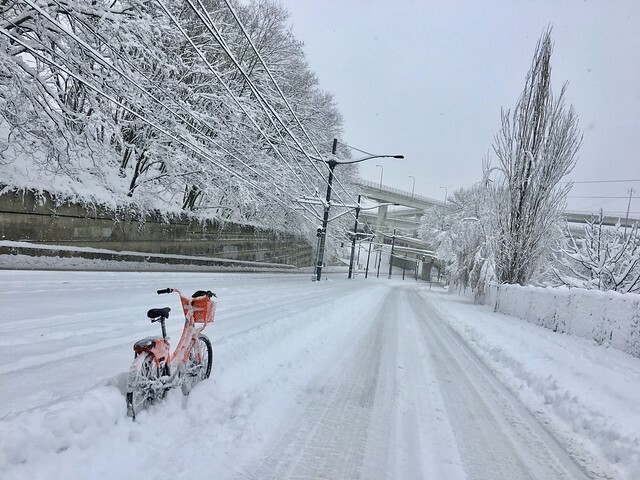 Portland is still covered in a layer of snow after a storm last night. If you can manage it, the biking is quite nice. Roads are much quieter than usual because people are driving slower and schools and many businesses are closed. 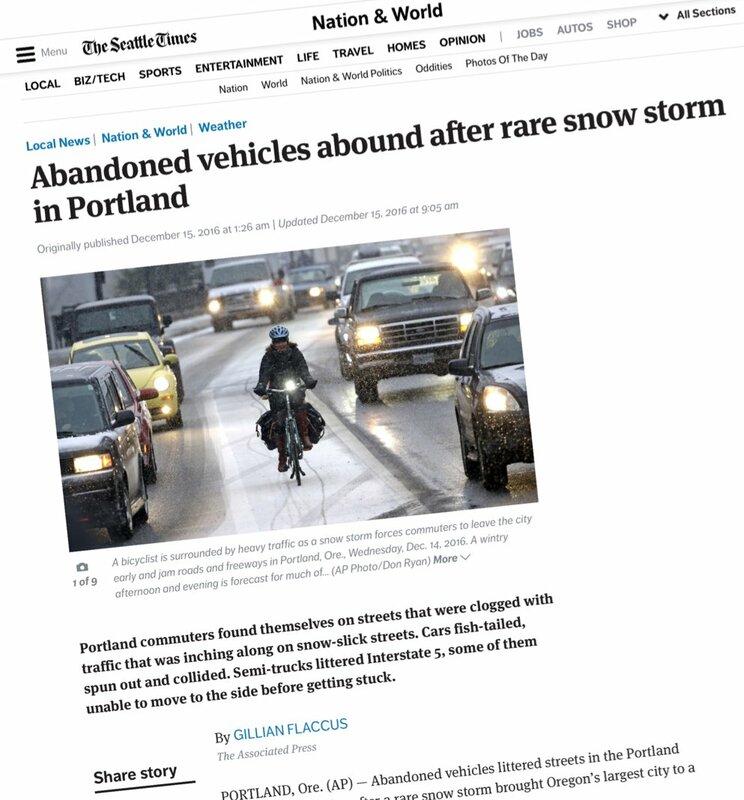 Portland made national news last night — and this image told quite a story. After a few inches of snow fell on Wednesday afternoon, our region’s transportation system ground to a halt. 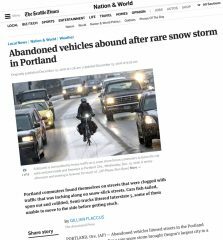 Major freeways, arterials, and even many neighborhood streets were either completely gridlocked or impassable due to abandoned cars left in scrap heaps of twisted metal and broken dreams. Thousands of people were stranded for hours and backups continued on Highway 26 until midnight (midnight!). Thanks to an Associated Press story, the insanity of it all has brought us national attention. Now we’ve entered the autopsy stage where everyone is trying to figure out how it happened. Sigh. Of course they forgot to mention something. Here’s the inconvenient truth: Our over-reliance on single-occupancy motor vehicle use has real consequences. It leads to lots of injuries and deaths, it poisons our lungs, and it makes our transportation system extremely fragile and inefficient.